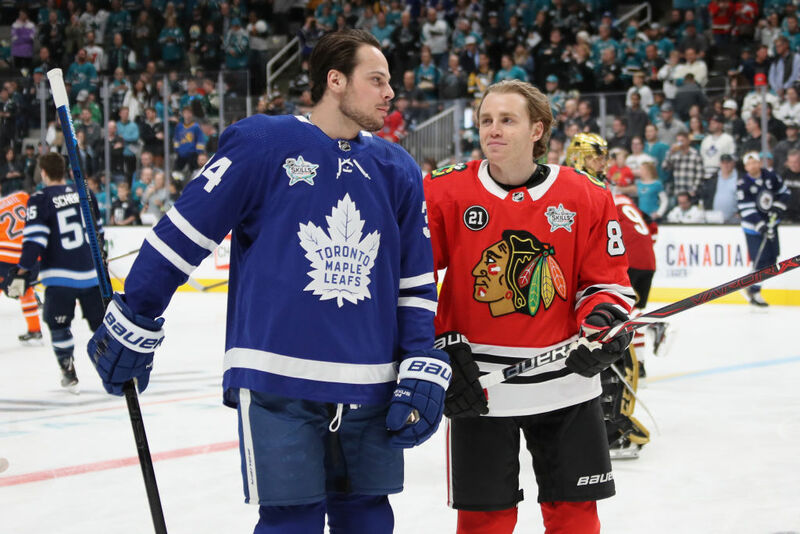 Auston Matthews of Toronto and South Buffalo native Patrick Kane of Chicago chat during warmups prior to Friday night’s All-Star Skills Challenge in San Jose (Getty Images). Through All-Star break. Last week's rankings in parentheses.